Bar Diameter: 0.8" Bar Length: 0.8"
COMMENTS: I was skeptical about this, but it really produces the cutest little balls! COMMENTS: I used these as embeds for my gumball soap. Perfect size and the mold is very nice and easy to release the soap. "Round ball 7/8" Silicone Soap Mold"
COMMENTS: This makes the perfect size soap balls for embeds on top and inside of soap. This works for cold process soap as well as melt and pour. I just greased the inside of the molds with a little olive oil and left the CP in for about three days and then they came out with gentle pressure and little dents. Also a great price for as many embeds as it makes at a time. COMMENTS: This mold is the perfect size for embeds on top of Soap Cupcakes and for embeds on top of my soap bars. So happy with this purchase I will be purchasing again! COMMENTS: I make cute little soap gumball decorations with this mold and I love it! I use cold process soap in this mold most often, but it works great with melt and pour too. I like that it makes a lot of toppers in one mold. COMMENTS: I love this mold! My soap balls come out perfectly every time! COMMENTS: Makes such nice balls to decorate tops of soap. I made balls with melt and pour soap base. COMMENTS: Perfect for when I have a little batter left over. Very cute! COMMENTS: Makes what I would consider a perfect sized gum ball..will also be really cute for Christmas soaps to make ornaments..just got to figure out how to achieve the look I want to get. "Great for creating small balls"
COMMENTS: This mold is great for creating small balls. So far, I've used it for embeds for cold process soap and to create melt & pour gum balls for bubble gum soap. Releases easily. COMMENTS: this worked great! it was my first time using one of these and they are so cute, cant wait to use as Embeds! "Round Ball 7/8 Silicone Mold"
COMMENTS: Originally, I bought this mold to make cherries with M&P base to top off CP soap cupcakes. But so far, I used this mold when I melted down 4 lbs of beeswax I got in a block format, and this size is perfect for measuring out the beeswax. It never stained, and even (normally) sticky beeswax came out shiny little cherries. COMMENTS: But so cute when unmolded! COMMENTS: This was CUTE add! BALLS! COMMENTS: I really like this mold, it's perfect for making embeds to go inside soaps or pop the little balls on the top of a frosted soap! COMMENTS: Makes adorable imbeds. I use M&P and then top off my CP soaps with these little beauties. Everyone loves them. "Easy to use, quality product"
COMMENTS: I love this ball mold. It's very easy to use, sturdy construction, and makes lovely ball toppers and embeds for CP and MP soap. I was originally concerned with how to get the soap out, but I place it in the freezer to firm up and then push on the bottom and pop the soap out of the mold. Super easy! 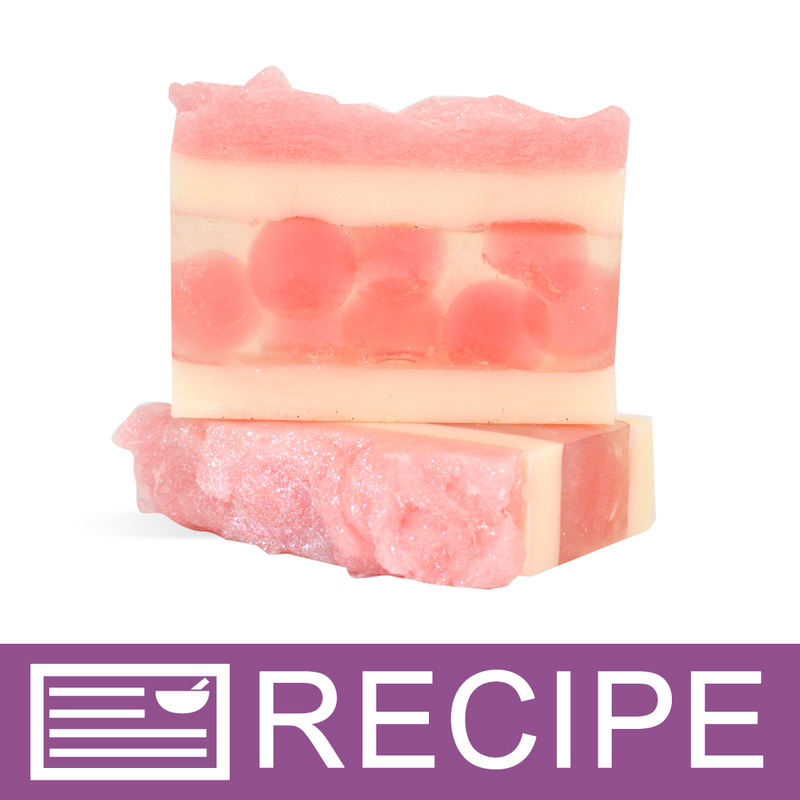 COMMENTS: I love keeping this mold on hand when making melt and pour soaps. If there's any extra base, I can pour it into the little ball cavities. They cool quickly and are very easy to pop out of the mold. I save them till I have a sufficient number, then make a loaf soap with the little balls as embeds. The resulting sliced soaps are so much fun, with almost a Wonder Bread look. COMMENTS: I love this mold for my cupcake toppers. The ball is about the size of a nickel. Sturdy, yet flexible for ease of removal. Clean up is super easy. COMMENTS: I really like this mold. Easy to fill and they pop right out. COMMENTS: This is an excellent mold.This is one of those molds that I use very often. The round balls are the perfect size. They fit perfectly on a 1" bar. I'm so pleased with this silicone mold that I had to buy a couple more! COMMENTS: Makes nice soap balls. Easy to remove from mold. COMMENTS: This mold is very useful! I made purple grapes, blueberries and gum balls and they turn out very well. So useful and fun!!! COMMENTS: Love it. Easy to fill and makes the cutest little embeds. So far I have on used to top the piping on my cold process soap but will next use as a decoration in a loaf. They just pop right on out.....easy peasey! Will be trying more. COMMENTS: This is a cute little mold, perfect for embeds or embellishments on all kinds of soaps. I may have to buy a few more! Thank you. COMMENTS: I like the fact that it is sturdy, and that you can make several balls at the same time. It's very easy to use and unmold! The end product appears very smooth. Thank you WSP! COMMENTS: These make the cutest little balls, perfect for making "cherries" to put on my soap cupcake frosting! They pop out of the mold with such ease, just make sure they have a couple of hours to harden first. COMMENTS: This is everything I expected. Nice and sturdy mold but easy to pop mp out. "A very good product to have for embeds"
COMMENTS: I purchased this for soap embeds. They look great on top of soap loafs and even better on top up cupcake soaps. I recently made blueberry cupcake soap with white whipped frosting . This mold came in handy because I was able to make blue marbled effect blueberries to go on top of the cupcakes and they turned out great. So to reiterate this is a great mold for making a lot of balls in a short period of time and the material is very sturdy. "Makes great gum balls for the top of cp soap"
COMMENTS: This mold is easy to use and is exactly what I needed to make balls for the top of my cp soap! COMMENTS: This is a great mold. Makes the perfect round size for my needs. This mold is VERY sturdy. COMMENTS: Just received my 7/8" silicone ball molds tonight, and just couldn't wait to give them a try. So at 10PM I was heating M&P soap to pour into my new molds. These molds have not disappointed me one bit! They are easy to fill, and even easier to unmold because of their flexibility. What could be easier.....nothing!!! Now I have perfectly round embellishments for my CP & HP soaps, no more rolling and trying to perfect the shapes and sizes of each hand rolled ball. Thank you, Thank you! COMMENTS: Adorable little soap balls. This would be easier if I'd used melt and pour but I don't like it. I did a water discount and added sodium lactate. Had to freeze the soap to get them to come out cleanly. Stilled loved the end results. COMMENTS: These round ball molds are awesome! The make great embeds. COMMENTS: Love this mold and its pearl like size it does. I enjoy making them for single use soap. The material of the tray though does attract all kinds of things to stick to it which is slightly annoying. COMMENTS: This is an awesome mold. Makes great imbeds for cupcakes or soap. Easy to unmold. LOVE IT! COMMENTS: I have used this with both cold process and melt and pour. Very easy to unmold with both types. COMMENTS: I had only seen this mold used with MP. However, I had some leftover CP soap batter and thought I would give it a try. I was worried about how easily it would release from the mold. 24 hours after pouring I popped it into the freezer for 15 minutes or so and out the popped perfectly!! COMMENTS: I had a mold like this that made 9 balls, but I had to make three batches to have enough embeds for my loaves. Now I can make all my embeds in one batch, so it's a great time-saver! COMMENTS: I love this mold. I have used it for embeds and single scrub balls. I find myself reaching for this again and again. I finally had to buy 2. COMMENTS: Love polka dots and love this mold. I had a smaller ball mold and was constantly having to pour twice to have enough for my loaf. This mold is perfect as I have enough with one pouring to achieve my dots. COMMENTS: I love the quality of this mold and have used it several times already. The silicone is sturdy and easy to use. Soap pops out with no problem at all. "Round ball 7/8 inch silucone soap mold"
COMMENTS: This makes really cute little balls that I use for cherries on top of soap cupcakes. They are easy to unmold. The bottoms are flat which I like for on top of my loaf soaps. "Want soap gumballs? Here you go!" COMMENTS: Just like everyone else, I wanted to make the soap gumballs you see everyone making. This is perfect for making a bunch all at once! They pop out super easily with no denting. COMMENTS: I know some people have complained because it's not a complete sphere, but I LOVED this!! Once I put the flatter side on top of the soaps, you cannot even tell. The come out beautifully!!! Looked great on top of the Christmas soaps I'll be giving away as presents. COMMENTS: I haven't stopped using this thing since it arrived at my door!! I just love everything I can do with it, from toppers to embeds. I can put it in the oven and have usable balls in a couple hours. I need about ten more of these things!! Wish the tray was bigger!! "Makes perfect shaped spheres every time..."
COMMENTS: I don't know how I managed without this mold for so long... SO glad I finally purchased it. It makes it painlessly easy now to create my "cherries" that I place on top of certain soaps. They produce flat bottoms, but it's not noticeable as long as you are using them to sit on top. For embeds inside soaps, you have to position them so the flat bottom is not facing the side that is being cut or "shown", or you will see the flat edge. Thanks WSP for another awesome product! COMMENTS: It produces round balls the size of a cherry which is exactly what I wanted. They come out very clean and the mold very easy to handle. COMMENTS: These are fun they make great balls, first attempt was a bit rough. Then I discovered I needed to be able to squeeze the soap into them, went well looking forward to playing and creating more with this. COMMENTS: I love these for creating candy look-a-like pieces for embeds in my CP. Everyone comments on how they look just like candy! COMMENTS: I got this mold and made some MP embeds. The size was great for the detail that I needed. The balls comes out with a gentle push. Clean up is simple. Love this mold and the price is EXCELLENT!! COMMENTS: In my soap line, I have a blueberry banana scented soap. To make it more interesting, I wanted to add what looked like actual blueberries to the bars. This mold was perfect! It is a little bigger than the average blueberry, but I didn't mind. The balls produced are a little smaller than a gumball. To fill the mold, I poured the soap into a funnel, which seemed to work well. After a few hours, the soap pops right out of the mold! No sticking. The mold is also relatively easy to clean. I definitely recommend this product. COMMENTS: I absolutely love this mold. I received it today and immediately made a batch of melt and pour soap to fill it with. The soap balls are perfectly round and shiny. The release is super easy...just push the hardened balls up through the opening and they pop right out. Couldn't have have for a better round ball mold. Next I'll buy the larger sizes. COMMENTS: This is a nice mold. COMMENTS: This is a little disappointing. The balls come out with a flat side not actually complete round balls. COMMENTS: This mold is excellent quality, easy to use and makes perfect balls. I used it with multiple colors of M&P to make gum balls. Used with gumball FO, it looks and smells perfect. COMMENTS: This mold is easy to use. I use it to make balls of soap to embed in my bars of cp soap, giving them a polka dot effect when cut. COMMENTS: I bought this mold to make M&P ball shaped soap for "cherries" for soap cupcakes. It makes many at once and is super easy to unmold...just pop the set ball out. Comes out perfectly formed. Easy clean up, too. COMMENTS: this is a great mold and forms almost perfect spheres. the top is a little flat but its hardly noticeable when the soaps are used as embeds. COMMENTS: I love this mold. It has cut my time in half with all the balls I can make. Instead of other companies only have a few spots to pour this mold has many! Now I can make more using less time! Wonderful! "Made the PERFECT cherry embeds!" COMMENTS: Made perfect cherries for the top if my birthday cake load soap! Very nice mold that's easy to work with. I can't wait to try it for other projects! "Yet another one of my very favorites!!" COMMENTS: This makes the most beautiful embeds. Whenever I am melt and pouring something else and have a little left over I add it to the sphere mold(spritz with alcohol first) and I now have a beautiful set of multi colored embeds. "Fantastic smooth spheres for your soap!" COMMENTS: These will leave a tiny flat surface to prop your weight on or embed in the soap itself. A little dollop on this will round it out after drying. No problems! Pops out easily and smooth sleek surface! Great! COMMENTS: I really like this mold. Easy to fill and they pop right out. Going to get the next size up! COMMENTS: Makes the perfect sized M&P balls to mimic melon balls for my loaf soap. Silicone molds are my favorite type and this is no exception. Very easy to unmold. COMMENTS: I am very happy with this product. Design possibilities are endless. "I love them for inbeds"
COMMENTS: I love them for embeds. COMMENTS: While getting a completely round ball would be difficult with this type of mold, I found it challenging to use and never got a ball without a flat top. Pass. COMMENTS: I love this mold!!! I paid a small fortune for my previous ball mold and there were fewer cavities. I love this for melt and pour embeds and they pop out effortlessly. I am going to get a few more! "Round Ball 7/8" Silicone Soap Mold 1803"
COMMENTS: I use this mold for small soap balls on my soap bars. I also use it for wax melts. Its perfect and absolutely love it! It's very easy to unmold which is of course great. COMMENTS: When making melt and pour soaps in the shapes of flowers, I pour these small balls and use them as the center for the flower. Looks really nice when done! COMMENTS: This little soap tray is so cute! You get little balls with one flat edge. Maybe like a inch in diameter. The mp soap hardens pretty fast in these little trays because the amount of soap is so small. I think that these trays are great, and fun... If you are looking for little teeny soaps of course. "Makes very cute rounds but..."
COMMENTS: Pro's would be: It makes the cutest round soap balls. Easy unmolding & cleanup. Very durable. Con's: I truly wish it was a full round ball. Instead of having a flat bottom. Other than that i really like this mold! "A must have for embeds"
COMMENTS: This mold is great for melt and pour soap!! Highly recommend very easy to remove from mold. "Makes the cutest Round Balls"
COMMENTS: I purchased this mold to make soap embedas and decorations for the top of my soaps. I used M&P soap that I colored with WSP Oil locking shimmer red. The pour into the mold was easy and relaease was a breeze; each ball popped out of its cavity without incident. I am so glad I purchased this mold. The best thing about this mold is that it has 27 cavities. With that many cavities I can make a varity of colored embeds in one mold. Thanks WSP. "Could you use this for a bath bomb?" Staff Answer You can use this for bath bombs. Just be sure they are completely hard before removing from mold. Otherwise, they may crumble when trying to unmold them. "if you were to use the whole mold with MP soap, how much fragrance would you recommend using?" Staff Answer The mold capacity is 5.4 oz. of soap. If adding fragrance at 3%, you would need 0.16 oz. or about 4.5 ml of fragrance. "would this mold be good to do bubble gum size balls? Thank You Tracy"
They will not come out completely round, but would be good for a bubble gum size ball. 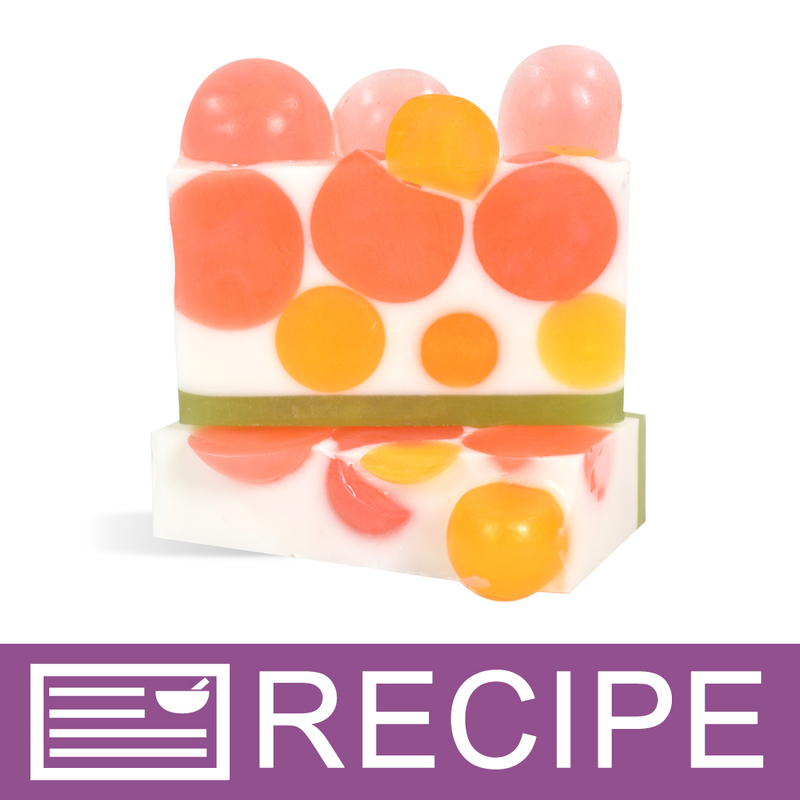 i have used a mold the same size to make awesome "bouncy ball soaps" using bright neon colors. even though they are not totally round if you imbed them in a mold such as the 2 1/4" inch sphere silicone mold they sell on here you can't tell they are not totally round at all. this really is an awesome mold!